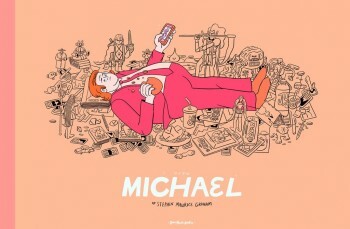 * Alex Hoffman on Michael. * it's hard not to contrast the reactions to Murray Ball's passing to reaction to Bill Leak's death. * bundled extra: Lat will be publishing a sequel to Mat Som this year. Lat has some displayed skill with sequels. * bundled extra II: if I'm reading this article correctly, Marvel had a monster-related mini-event series going this year that didn't really appeal to a lot of their fans -- that's a pretty big switch to throw for that company to see little return to the line. Also there's a $10 Spider-Man comic. If I buy a $10 Spider-Man comic it better have John Romita Sr. art on the inside and a cover price of 15 cents. * finally, Joel Pett endorses Sunshine Week.